ATP has grown from a single flight training center to one of the world’s largest flight training providers over the last 30+ years that we have been in business. We have enjoyed this success due to several factors, none of which are more important than the hard working professionals who work at ATP from the very top on down. This commitment to excellence made by every one of us makes us very proud when one of our own is recognized for the hard work and talent required to be successful in the flight training business. ATP’s Director of Training Ben Gabriel has earned the honor of being awarded National Air Transportation Association’s Excellence in Pilot Training Award for 2015. NATA awards this honor each year to an individual who shows outstanding contributions in safety, professionalism, leadership and excellence in the field of pilot training. 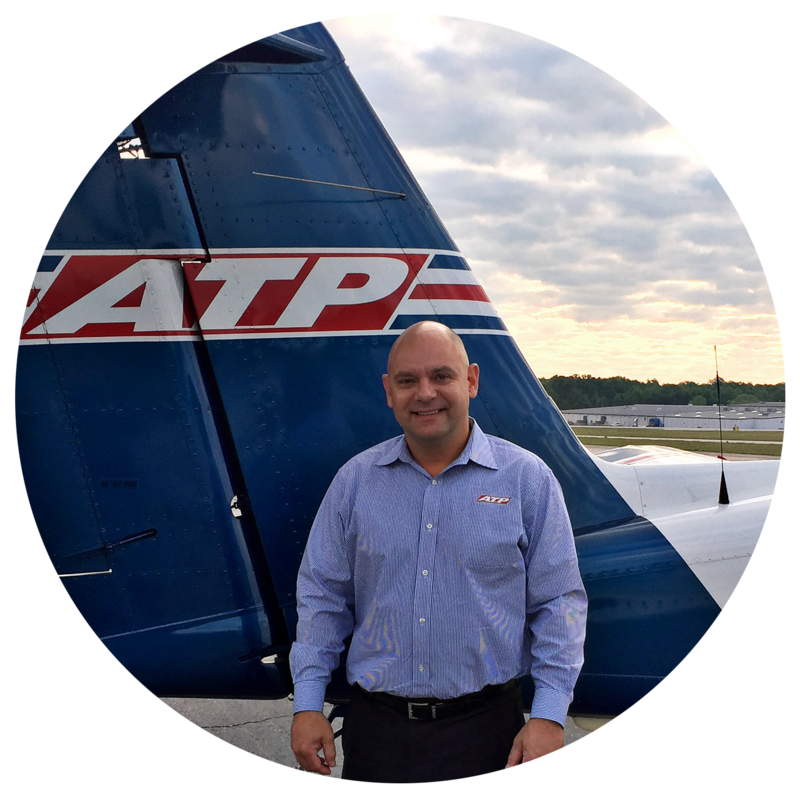 Ben currently leads ATP’s flight training department, in which a staff of 230 Certified Flight Instructors flies a fleet of over 260 aircraft while safely training over 650 students. In the year 2015 alone Ben directed a staff which flew over 160,000 accident-free hours of flight training and was responsible for the issuance of more than 4,400 pilot certificates and ratings. We at ATP are especially proud of the fact that Ben was a graduate of ATP’s Airline Career Pilot Program in 1999, continuing on to a career flying the Embraer ERJ-145 with Trans States Airlines. Ben then returned to ATP as our Regional Jet Program Director before being appointed as ATP’s Director of Training. ATP is the leading supplier of professionally trained airline pilots. If you want to fly for the airlines, get the job ahead of your competition. Get there first with ATP.